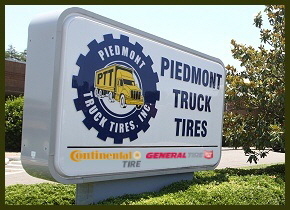 Piedmont Truck Tires and Automotive Centers has locations in Greensboro, Asheville, Conover, Graham, Charlotte, Warsaw and Raleigh in North Carolina, as well as locations in Columbia and Summerville, South Carolina and Murfreesboro, Tennessee. Our service area covers most of North Carolina, including the Piedmont Triad, and Research Triangle areas, plus South Carolina and Tennessee. 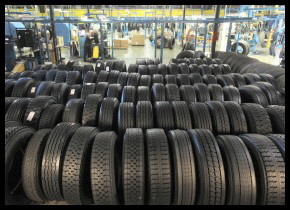 In addition to being a tire dealer for a full line of national brands for all types of vehicles, Piedmont Truck Tires also provides mechanical service for automobiles, trucks, and equipment. PTT is a full service tire store. We sell tires and perform tire service for most types of vehicles, and provide emergency roadside tire service, and same day tire repairs. 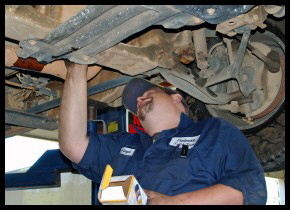 Piedmont Truck Tires and Automotive Centers is a full service auto repair shop and truck repair shop.